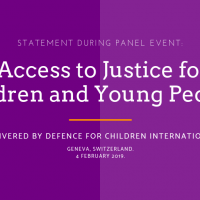 The International Secretariat of Defence for Children International (DCI-IS), in collaboration with the World Organisation Against Torture (OMCT), is carrying out a project aiming at contributing to improving the situation of children in the justice systems of Switzerland and around the world. The project, made possible by the financial support of Loterie Romande, started in September 2014 and it will continue until end of August 2016. 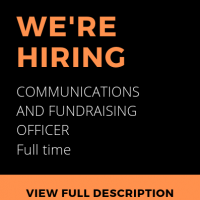 Awareness-raising concerning violence in justice systems, and especially in detention, amongst governments, civil society, and society at large. o Organising and supporting the awareness-raising and lobbying campaign of the Call for a Global Study on Children Deprived of Liberty. Capacity-building for representatives of DCI’s national sections and the SOS-Torture network concerning the functioning of UN human rights mechanisms, especially those that concern the rights of the child and violence against children. Lobbying and advocacy on different levels in order to ensure that Juvenile Justice Systems are respectful of the rights of the child. o Organising side-events to the Human Rights Council on the issue of torture of children deprived of liberty. Ensuring the respect and application of the Convention on the Rights of the Child and other international human rights treaties by participating in sessions of the Committee on the Rights of the Child and the Committee against Torture, preparing reports, and disseminating information.